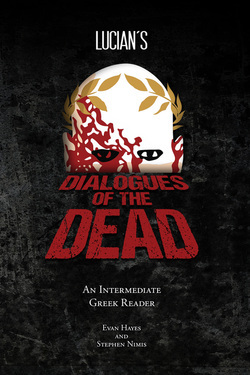 The aim of this book is to make the ﻿Dialogues of the Dead﻿ by Lucian of Samosata (c. 120 CE –190) accessible to intermediate students of Ancient Greek. The running vocabulary and grammatical commentary are meant to provide everything necessary to read each page, so that readers can progress through the text, improving their knowledge of Greek while enjoying one of the most entertaining authors of antiquity. Lucian’s Dialogues of the Dead is a great text for intermediate readers. The dialogues are breezy and fun to read with relatively simple sentence structure. Typical for Lucian, classical literature is the source for most of the material, with amusing takes on traditional stories and scenarios. Since the underworld is the place of final judgment, it is the perfect location to have various figures from history and legend meet and reflect on the choices they made in life. Wealthy men, famous kings, heroes of old, and the gods themselves are all subjected to Lucian’s satirical gaze, but always with a combination of learned wit and cleverness.